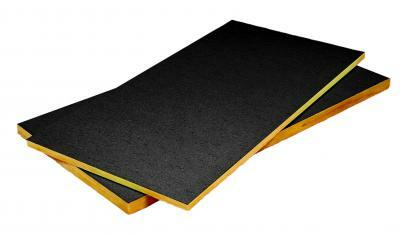 High performance sound proofing glass wool insulation product. 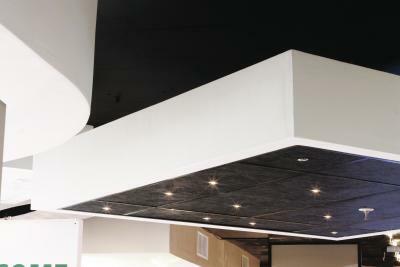 Cineplex ceiling tiles are manufactured from non- combustible inorganic glass wool and bonded with an inert thermosetting resin binder. The tile is faced with a black non-woven glass tissue for optimal sound absorbtion. It is most commonly used in commercial buildings such as cinemas where high soundproofing performance is required, but can also be used in other areas where optimal sound absorbtion is required. Cineplex also has thermal insulation properties.